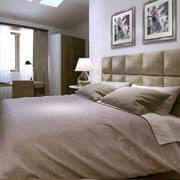 Your bedroom is the place in your home where you settle down and relax after a long day. It's your sanctuary. That's why it's so important to check out different bedroom art ideas to decide which theme, color scheme and style is most important to you. 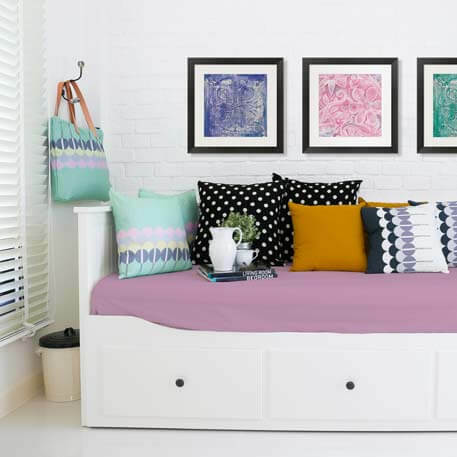 Before you start to choose out which particular piece of canvas or framed art you want for your bedroom, start by deciding where in the room you want to hang it. This will impact the size and shape of art you want to select. 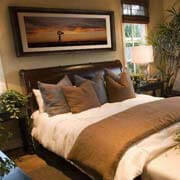 Most homeowners choose to hang a single large piece, a series or a gallery above their bed. 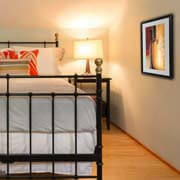 However, many people try to center their art between their headboard or bed and the ceiling. This results in the art being hung too high and looking like it's floating on the wall as opposed to being part of the bed. 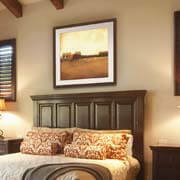 As a rule of thumb, hang art over your bed 8 to 10 inches above your headboard. 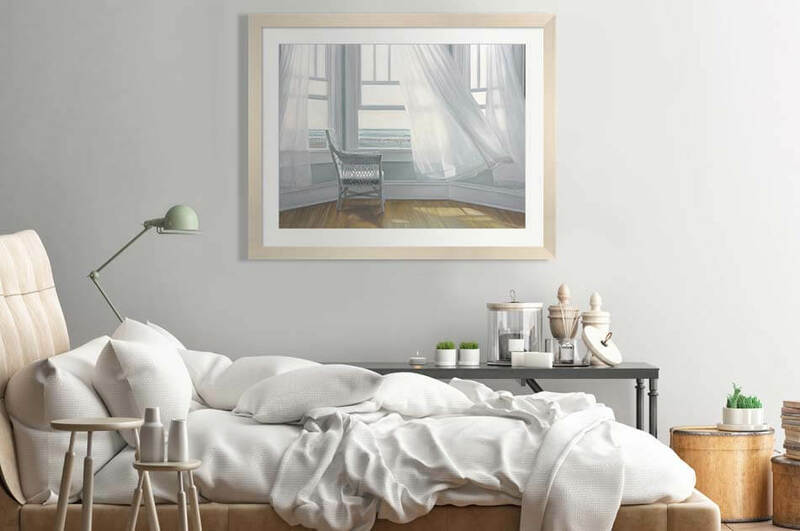 Now that you've decided the placement of your bedroom art, you can begin thinking about what type of art you want to add to your space and how you want to bring it all together. 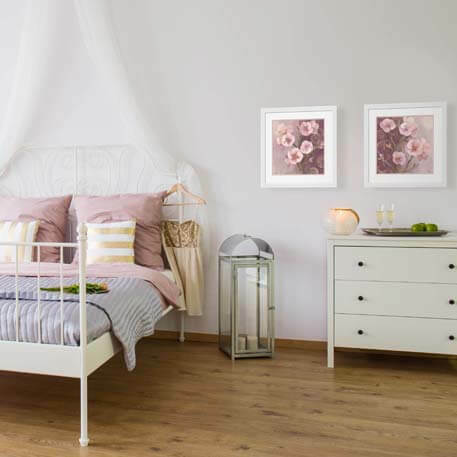 Over the bed without a headboard, you might choose large bedroom art that gives your room a finished look without the additional cost of a headboard. On the other hand, using a series of two pieces of bedroom artwork can gives your bed a "his and hers" theme that makes the room feel cozy. 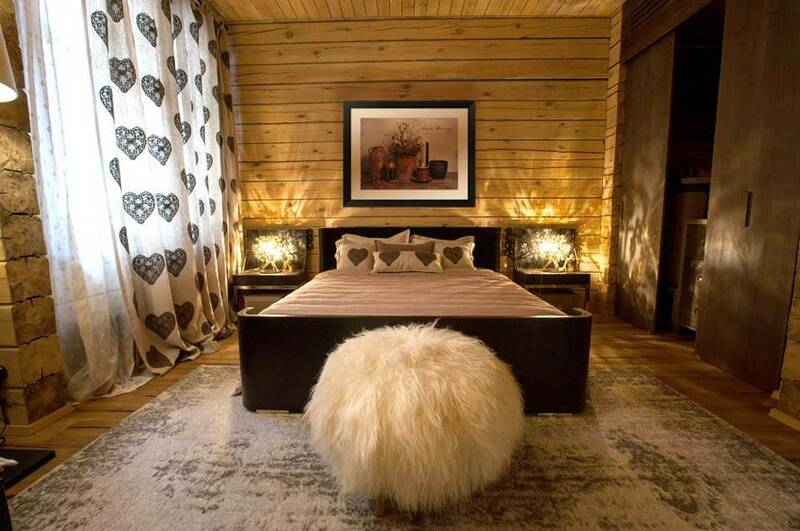 No matter which you decide for over your bed, you'll want to make sure that it matches the rest of the decor in your bedroom. 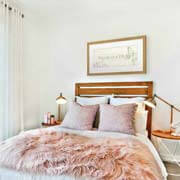 Uniting your bedroom's style can be accomplished in a couple of different ways. 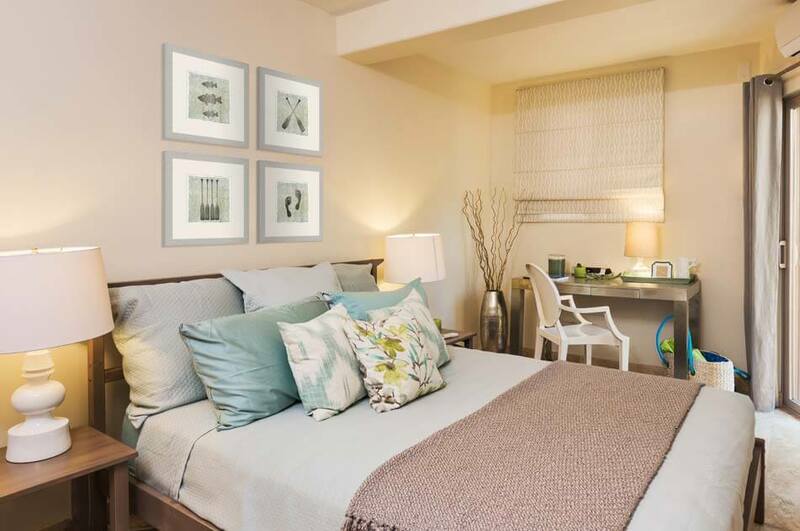 Choosing art with a color that matches or complements a color in your pillow shams, duvet/comforter, lamps or decor accents helps to make your room's decor seem consistent and planned. 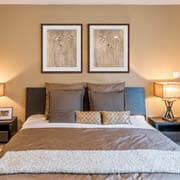 For a softer, relaxing feel, choose fresh neutral art that will help lighten and brighten your space. 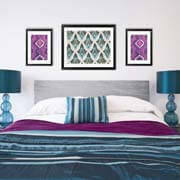 For a brighter color scheme, try artwork that makes a bold statement to add a pop of color on your walls. Instead of choosing art based on color, you can select a specific style or theme for your room when deciding how to decorate bedroom walls. For a country style, Heartland Home art can add a rustic, farmhouse theme. 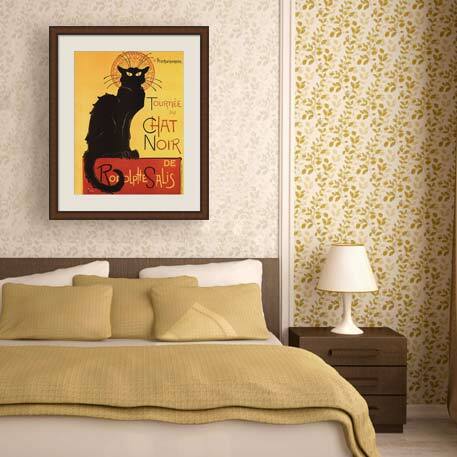 Paris Apartment art, on the other hand, can add a French country style with a bit of modern glam. If you're looking for a more traditional feel, timeless chic art brings a modern twist to classical art to give your room a mature feel. 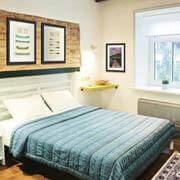 Playful themes, such as boho art or lakehouse life, can give your room an eclectic, fun feel. Want to just create a more relaxing theme? 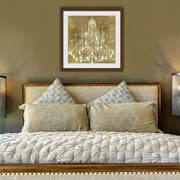 Our Sweet Dreams collection uses pastel colored artwork and soothing images to help give your space a spa like feel. 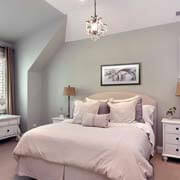 For those who want their bedroom to become a place for serenity and reflection, this is the perfect theme. 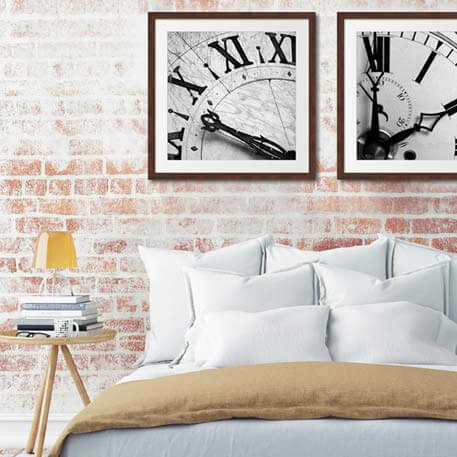 No matter which theme or color scheme you choose to decorate your master bedroom, you'll want to make sure that it's the best wall art for bedroom and matches or unites your space. This can be accomplished through theme, style or color. 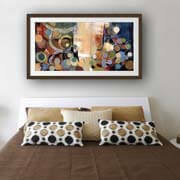 However, it can also be done by selecting the same canvas or framing and matting configuration for your artwork. Even if your art is on opposite walls in the room, using a similar finishing option will help to bring your room together. For example, if you decide to decorate with a pop of color or breathtaking views photography, choosing a black frame with a white mat will make your photos stand out. Continue this theme by using black frames on your bookshelves or on your nightstand to give your room a sleek modern design. 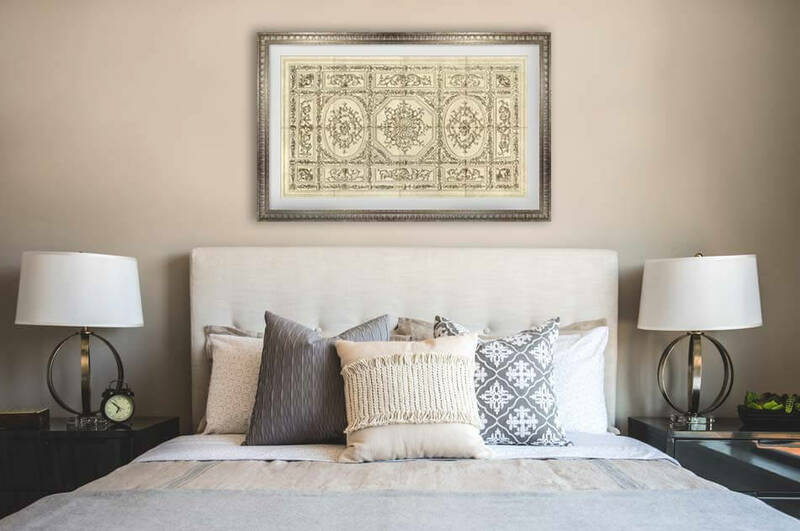 For themes that have a wide variety of colors and subject matters, such as vintage industrial or traditional Asian art, choosing a brown frame to use on all of your artwork can bring the overall look and feel together. 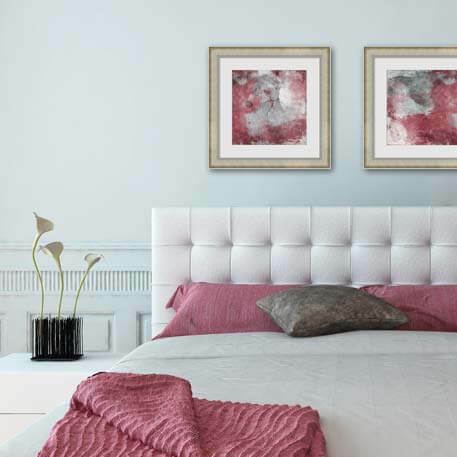 Instead of selecting art that has similar colors or a specific style, you can simply use a frame that matches your existing furniture or decorations. 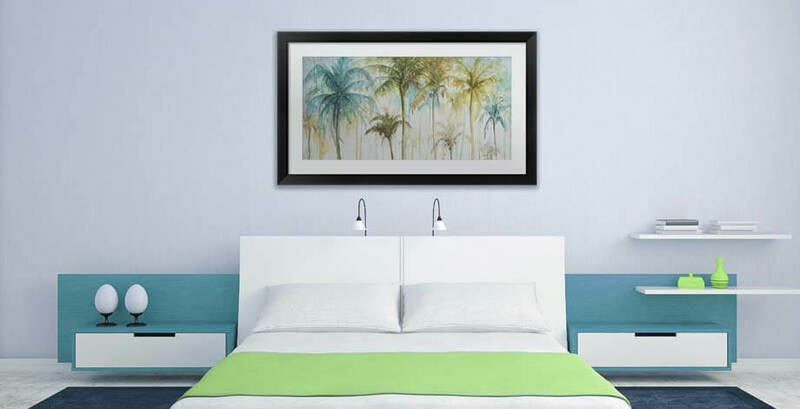 No matter which style, theme, color or frame you select for your bedroom art, FramedArt.com has a wide variety of decorating ideas, color schemes and how to guides that will help you find best bedroom art for you!